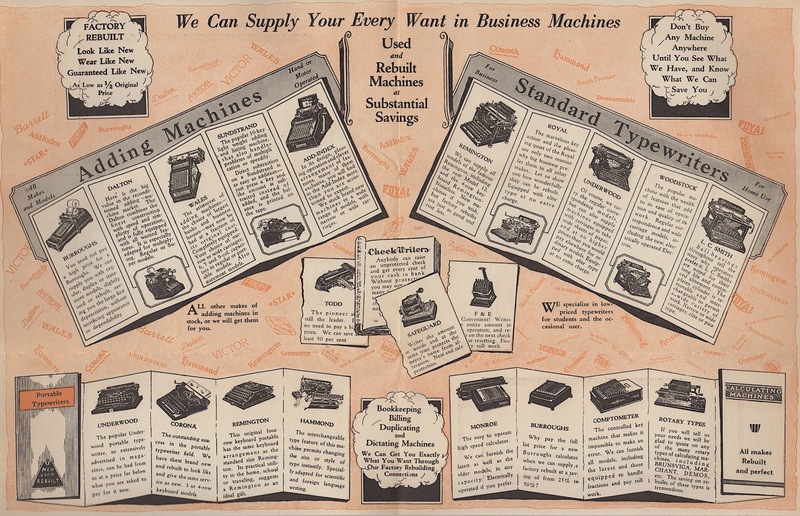 The market for rebuilt typewriters was brisk in the 1920s, evidence that manufacturers could scarcely keep up with demand. Factory rebuilt machines afforded consumers opportunities to own a typewriter at a discount, and students were often targeted. Mason must have been interested in a machine, for he kept the envelope and mailer, which are featured in this post. Then, his family kept the keepsake, until finally it ended up on eBay and subsequently my collection. Whatever machine he purchased, if he purchased one, he certainly could have gotten a good deal. A Hammond #12 sold for as little as $10. 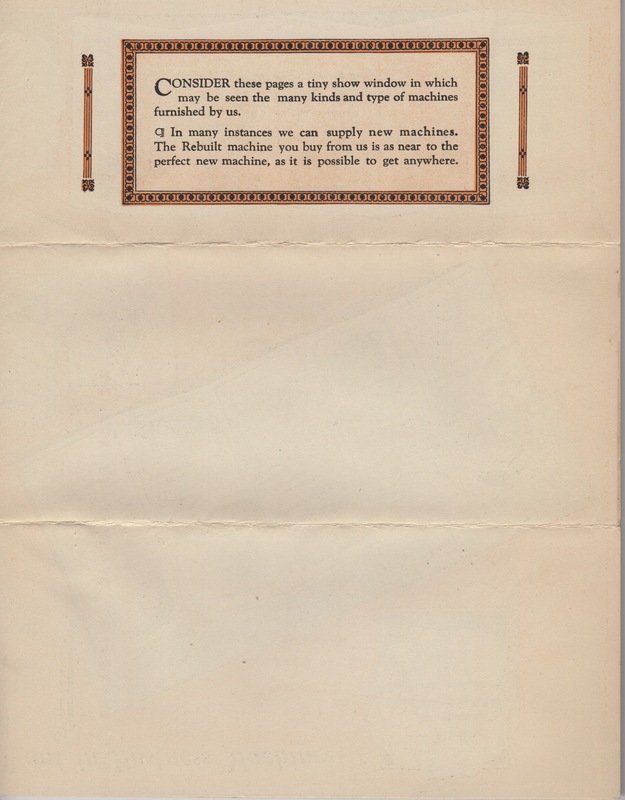 The mailer is pre-printed card stock, the inside pages including both typewriters and business machines. Evidently, Galbreath mailers had one design, which served both students and businesses. Note: Click on images, including the one above, to view larger files. Asher A. Galbreath was a known quantity, and his biography can be located on Wikipedia (see here). A man of diverse skills, he served in political office and as president of the National Typewriter Company. In elected office, he rose as high as state senator. 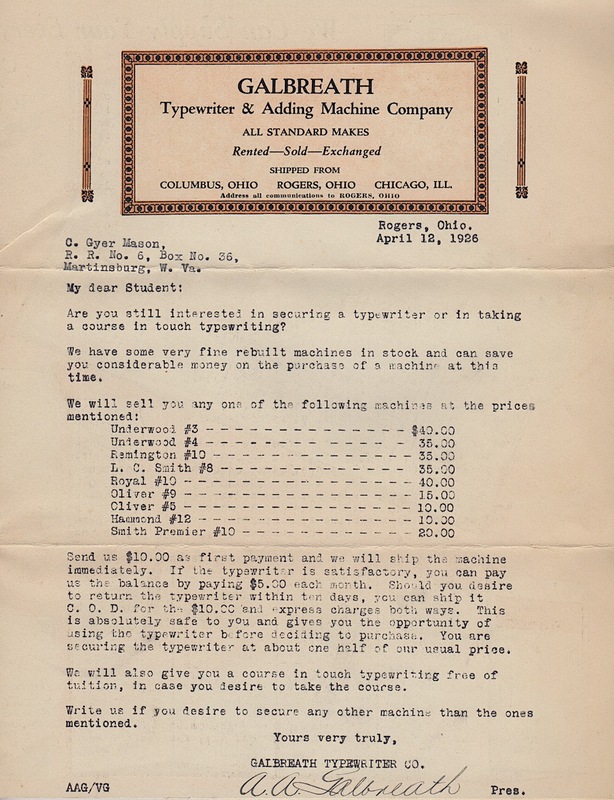 The typewriter company bearing his name seems to have thrived from 1918 through 1948, extending several years past his death in 1935. Great ephemera and digging on Galbreath! Previous post: God Bless Us, Every One!